Find hotel near Cultural Palace Of Nation .. 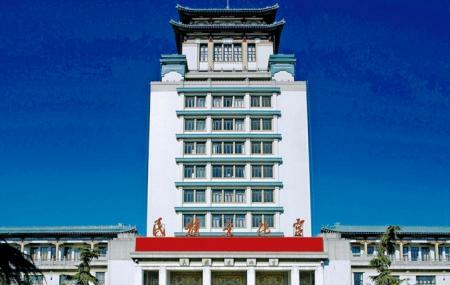 Cultural Palace of Nationalities is located to the west of the Chang'an Avenuea nd was built in the year 1959. There are 59 nationalities in China and each of them has their own traditions and culture which are quite diverse in nature. The place has more than 50000 items and relics that you can have a look at. So if you are a history buff or want to know more about the culture in the city then visiting this is a good idea. Also, visit the popular attractions in the city by following Beijing itinerary 4 days. Take a bus from GanIshibashi. Nobody speaks english here and the prices are high, but the chinese people kindness surpasses everything. Cultural Museum with many traditional pieces, if you're a tourist the National Museum is a better option with local translations available.